Paddle north on the Chicago River about five miles from the Loop (or just take the Kennedy Expressway) and you’ll arrive at Avondale, a neighborhood rich with history that’s in the midst of a transition. Home to five of Chicago’s 45 mayors, including Mayors Richard J. and Richard M. Daley, Bridgeport is a south side neighborhood with a rich history. Originally named Hardscrabble, and ultimately getting its name from a bridge over the Chicago River that was too low for the safe passage of boats, Bridgeport was one of Chicago’s founding neighborhoods and once an industrial center of the city. Now primarily a residential area, Bridgeport is still home to the White Sox as well as some of the city’s finest architecture. Few neighborhoods have been stamped with the “up-and-coming” label as often as Bronzeville, a South Side neighborhood steeped in history. After a generation-long decline that saw many of the neighborhood’s stately graystones either boarded-up or demolished, a turnaround is almost certain, but the only question is how quickly. For the first half of the 20th century, Bronzeville was Chicago’s answer to Harlem: a vibrant neighborhood that served as the cultural heart of Chicago’s African-American community. A sub-neighborhood of Uptown, Buena Park is a small residential enclave located on the lakefront between Montrose Avenue and Irving Park Road. The tree-lined streets of Buena Park are filled with elegant prairie-style mansions, vintage courtyard condo conversions, and some larger high-rises near the lake. Once a bohemian enclave with a seedy underbelly, Bucktown has rapidly transformed into an upscale neighborhood with one of the premier dining, nightlife and shopping districts of Chicago’s North Side. Soaring high-rises. Bustling streets. Vast urban beaches. This isn’t the Loop or River North; it’s Edgewater, a lakefront neighborhood on Chicago’s Far North Side. Edgewater (population about 64,000) is one of Chicago’s largest and most densely populated neighborhoods, due in large part to the long chain of tall high-rise apartment buildings on Edgewater’s eastern edge, known as Edgewater Beach. 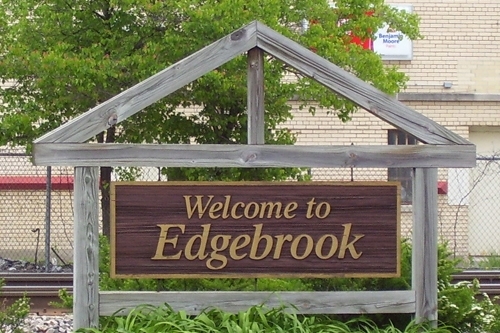 Situated on the far reaches of Chicago’s Northwest Side, Edison Park (population 11,162) is a quiet residential community located 13 miles northwest of the Loop. In the 1890s, the village of Edison Park was formed, claiming to be the first community on Chicago’s Northwest Side to have electricity (which is of course the source of the neighborhood’s name). Hoping to enjoy the benefits of Chicago’s city services, including transportation and utilities, the town became part of Chicago in 1910. When Chicago's wealthy migrated north from the Prairie District just after the dawn of the 20th century they built mansions along Lake Shore Drive and Astor Street from Division to North Avenue, or settled into the sprawling apartments (now co-ops) on prestigious East Lake Shore Drive. The landmark-laden pocket of tree-lined streets east of Clark Street and north of Oak Street quickly became known as the "Gold Coast." A city within a city, Hyde Park / Kenwood is one of the South Side’s most scenic and affluent neighborhoods. The neighborhood is anchored by the University of Chicago, one of the nation’s top research institutions, which has a far-reaching influence on the surrounding community. 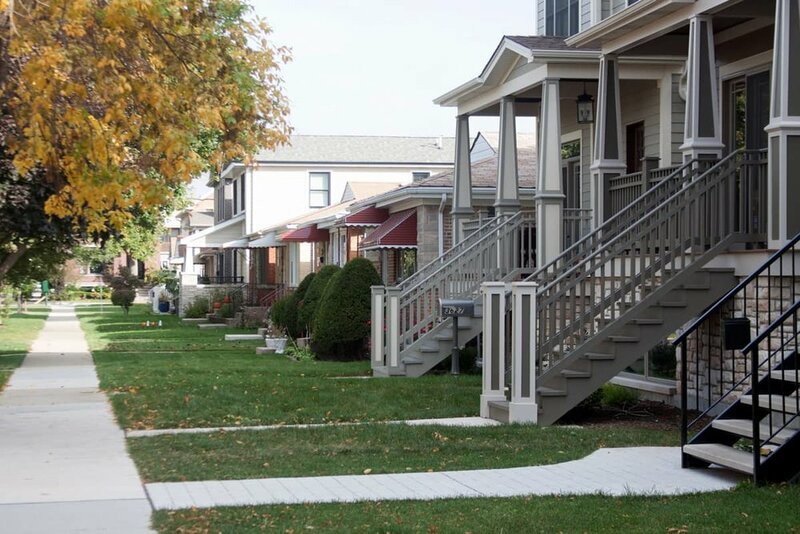 A patchwork of smaller enclaves, Irving Park is a neighborhood on Chicago's Northwest Side. The Chicago River sets the most recognized east border with the Milwaukee Ave railroad tracks marking the west. Addison and Montrose Avenues set the south/north borders. West of Pulaski Road and sliced by I-90/94, Irving Park encompasses the region between Belmont Avenue on the south and Leland Avenue on the north. One of Chicago’s oldest neighborhoods, Jefferson Park, named for Thomas Jefferson, is sought out for its affordability on the Northwest side. Low crime rates and proximity to transportation and schools, Jeff Park, as it is known to locals, makes for a comfortable alternative to the suburbs. Within Lake View are several sub-neighborhoods that are perhaps better known to outsiders, including Wrigleyville, Boystown and Lake View East. In addition to Wrigley Field, home of the Chicago Cubs, Wrigleyville is Lake View’s primary bar and nightlife district. Boystown, which is centered around North Halsted Street, is Chicago’s gay, lesbian, bisexual and transgender community. Lincoln Park is one of Chicago’s richest neighborhoods—and not just in terms of the wealth of its residents. This lakeside neighborhood is rich in history, cultural institutions, architectural heritage and lifestyle opportunities. Anchored by the intersection of Lawrence, Western and Lincoln Avenues on Chicago’s North Side, Lincoln Square is a cosmopolitan, close-knit neighborhood. 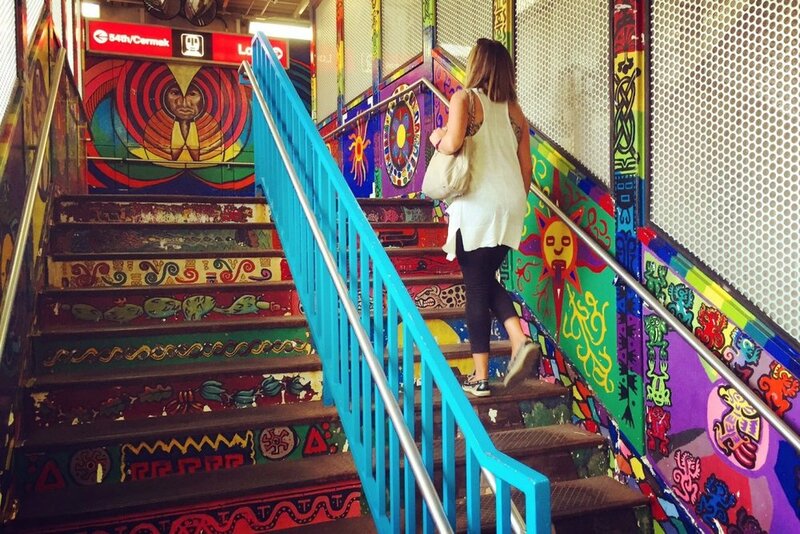 It provides a dynamic, diverse blend of tree-lined residential streets and bustling retail and commercial spaces, easily accessible by the CTA Brown Line and Metra. Once home to Italian and Jewish immigrants, the old neighborhoods that make up Little Italy and University Village began to change in the early 1960s, when the University of Illinois moved its Chicago campus from Navy Pier to this Near West Side location. The move was controversial, but over time the old neighborhood and the new University have come together in a vital and diverse community. 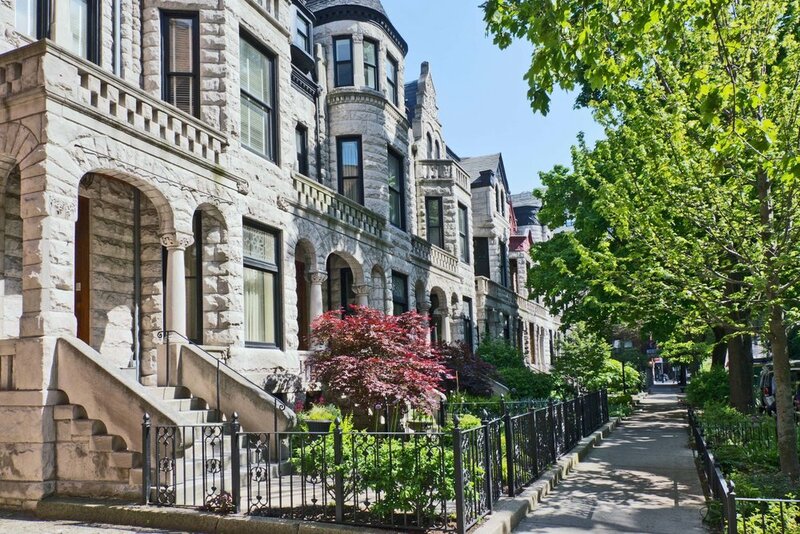 Some of Chicago’s most beautiful, historic boulevards meander through Logan Square, a community bound to the beauty of its past. Today, it is an ethically and income-diverse neighborhood with affordable housing and a sociable atmosphere. Don’t let its literal name fool you! 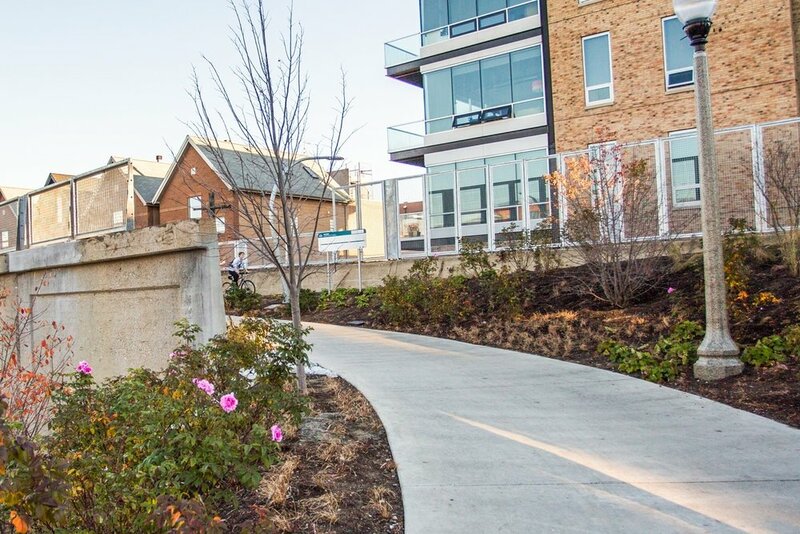 North Center is a charming urban neighborhood, offering quiet residential streets tucked away from the hustle of the city, with easy access to great shopping and restaurants along Lincoln Avenue and in sub-neighborhood, Roscoe Village. 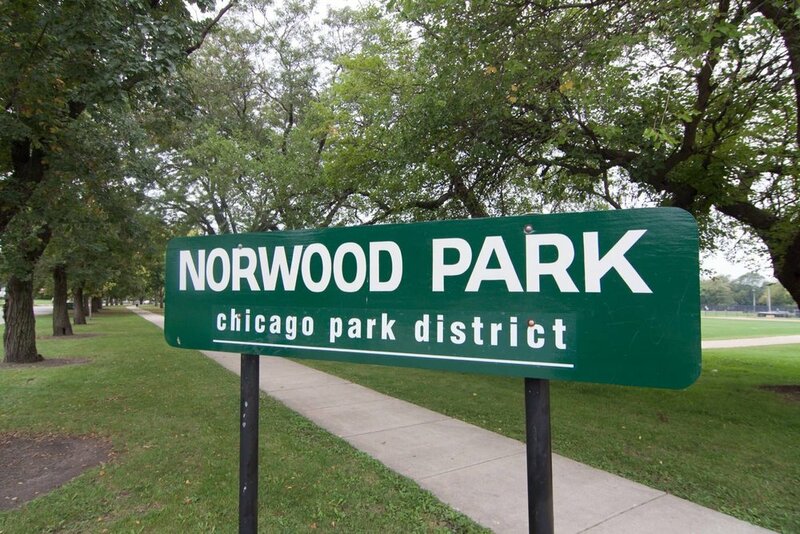 Norwood Park is the farthest northwest of Chicago’s neighborhoods, located 11 miles northwest of downtown Chicago and just minutes to O’Hare Airport. Originally settled in 1830, Norwood Park became incorporated in 1874 and has managed to maintain a suburban feel. Nearly 38,000 Chicagoans live in this community including many Chicago firefighters, police officers and Chicago Public School employees, who are all required to live within the city limits. Pilsen is located within Chicago’s Lower West Side community on the near south side of the city just minutes from the Loop. Pilsen was originally settled in the 1840s by German and Irish immigrants. In the 1950s and 1960s Mexican migrants began to settle there and have continued to be the predominate nationality in this nearly 25,000 household neighborhood, which now serves as a destination for many Hispanic immigrants. 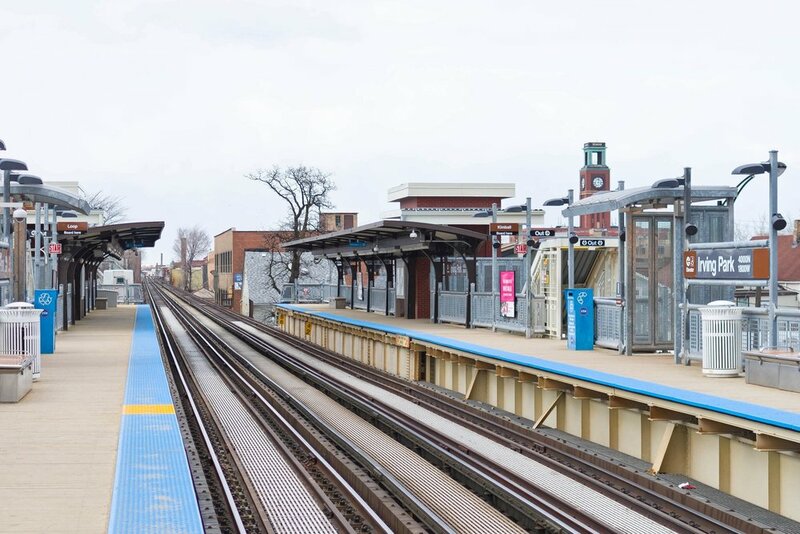 Once touted as a more affordable alternative to the North Side’s pricier areas, Ravenswood is now an established and popular neighborhood in its own right, and home of some of the highest real estate values in the city. Courtyard-style residential buildings dominate the Ravenswood landscape, but a number of stately single-family homes grace the tree-lined streets here as well. The area’s commercial center is in the heart of Lincoln Square, but many businesses and restaurants can be found along all of Ravenswood’s major streets. River North has a unique history, which includes hosting Chicago’s red light district as late as the 1970’s, to experiencing a surge of more than 2,500 rental and condominium units being built in the 1990’s. The River North Business Association comprises of hundreds of businesses helping to promote the area as a major Chicago tourist destination. Chicago’s “Village Within The City,” is a vibrant yet peaceful neighborhood located in the center of the city’s North Side. 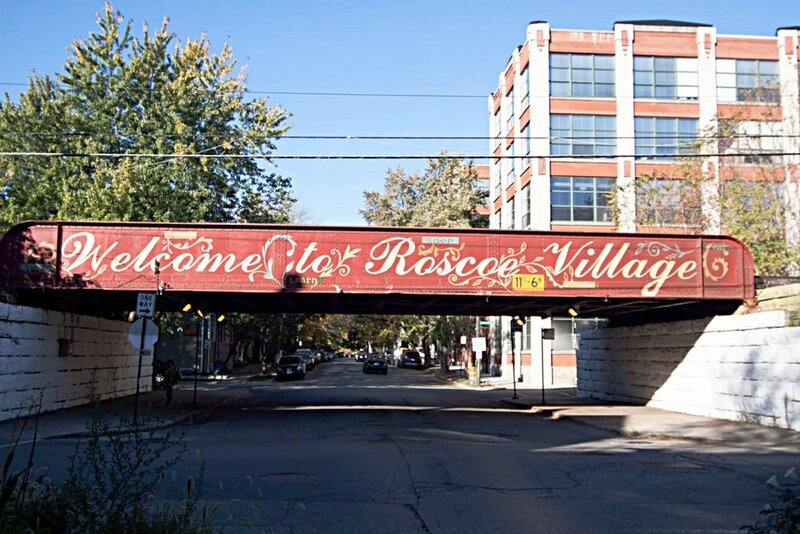 Home to over 6,200 residents, and site to some of the steadiest growth in all of the North Center community area, Roscoe Village’s tree-lined residential streets and core of shops and restaurants offer a thriving, community-oriented environment. Some city neighborhoods are known for their quiet, tree-lined streets and their small-town atmosphere. Not the West Loop. Gritty, glamorous, noisy and exciting, this may be Chicago’s most urban residential neighborhood. This is where chefs come before dawn to select the meat and produce their customers will enjoy that night, where tourists and locals knock back shots of Ouzo in Greektown bars, where Oprah still records her daily TV show.